Bedazzle your charm bracelet or necklace with Aaron Basha spacers. 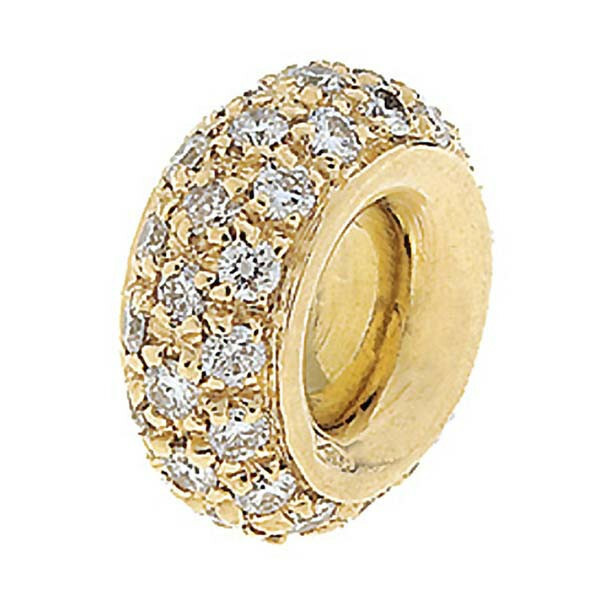 Luxuriously crafted in 18kt yellow gold, this spacer is completely embellished with striking white diamonds. Spacers were designed to keep your charms from banging together, and these spacers will make sure that happens in style. For a glamorous touch, use these Aaron Basha spacers to create your own personal look.